5th graders are beginning to fold with fury! Check out these tutorials from Trash Origami! There are many tutorials on this clip. 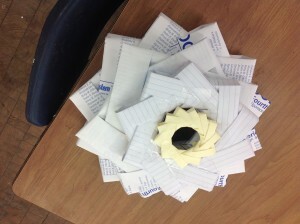 Origami wreathes begin at 2:15:12, just after the red and green book tutorial. Remember everyone’s brain does not understand the art of folding. Give it a try, work in your sketchbook or contribute to our community by doing chores. 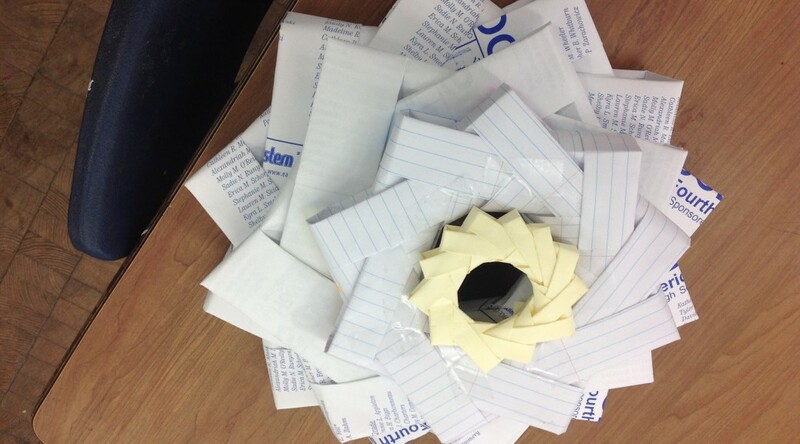 5th graders are challenged by Origami Wreathes. 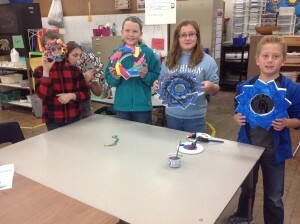 Students who are successful with the origami wreathes are embellishing them painted patterns. Look at the differences. 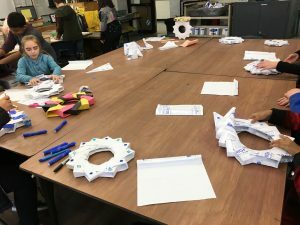 Artists are creating a smaller and larger wreathes to create a sculpture. 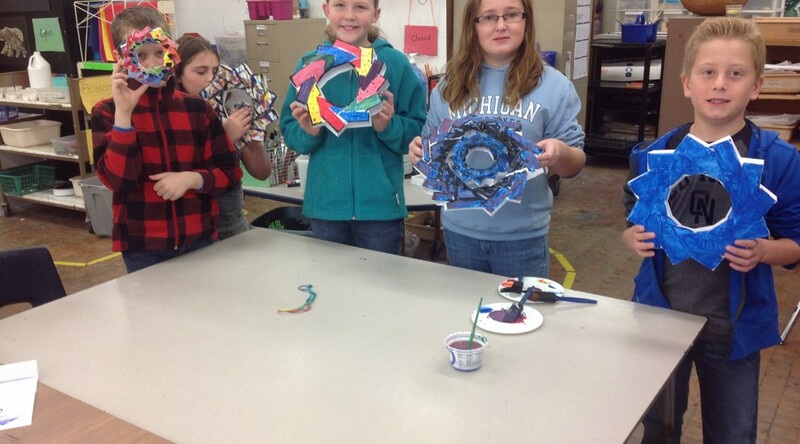 Hours of work are needed to create this interactive sculpture!